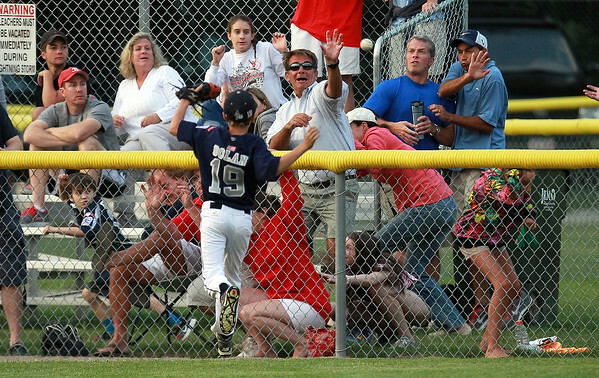 Fans in centerfield scatter as a line drive home run clears the fence as Hamilton-Wenham center fielder Lenny Dolan can only look on. The Generals lost to Barnstable 12-1 in a shortened 4 inning contest on Friday evening at Harry Ball Field in Beverly. DAVID LE/Staff photo. 7/25/14.